Whelan, Janna et al. "Angela Cheng". The Canadian Encyclopedia, 04 March 2015, Historica Canada. https://www.thecanadianencyclopedia.ca/en/article/angela-cheng-emc. Accessed 20 April 2019. Angela Cheng came to Edmonton with her family as a child, and studied piano at the Alberta College with Vera Shean (1972-6) and at the University of Alberta with Ernesto Lejano (1976-80). Angela Cheng (courtesy). The music is the Rondo from Mozart's Piano Converto No 9, with the CBC Vancouver Orchestra directed by Mario Bernardi (courtesy CBC). Angela Cheng. Pianist, teacher, b Hong Kong 9 Sep 1959, naturalized Canadian; B MUS (Juilliard) 1982, M MUS (Indiana) 1984. Angela Cheng came to Edmonton with her family as a child, and studied piano at the Alberta College with Vera Shean (1972-6) and at the University of Alberta with Ernesto Lejano (1976-80). With the support of the Anne Burrows Music Foundation, she continued her studies at the Juilliard School in New York with Sascha Gorodnitzki (1980-2) and at the University of Indiana with Menahem Pressler (1982-8). From 1990 to 1994 Cheng began work toward a doctorate with Pressler at the University of Indiana. Cheng has received international acclaim for her technical skill, tone, and musicianship, and has been praised for her interpretation of Mozart. She made her debut at New York's Alice Tully Hall in 1985, and has subsequently given recitals throughout North America, South America, Asia, Europe, and the Middle East. She has been a guest soloist with nearly every major orchestra in Canada, and has performed internationally with the Israel Philharmonic, the Pan-Asia Symphony, and the Saint Louis, Boston, Houston, San Diego, and Maryland symphony orchestras. Cheng has appeared in concert with various chamber ensembles, including the Colorado, Takács, and Vogler string quartets. In 1994 she became a member of Piano Six (now Piano Plus) with fellow Canadians Angela Hewitt, Jon Kimura Parker, Marc-André Hamelin, André Laplante, and Janina Fialkowska. Cheng toured Israel with the Israel Camerata in 2008, and at the request of Pinchas Zukerman, accompanied the Zukerman Chamber Players on their tours of China (2009), the US (2009), and South America (2010). She has also frequently collaborated with her husband, Alvin Chow (piano), and Chow's brother Alan (piano). Cheng began her teaching career as a part-time piano instructor at the University of Colorado (Boulder). In 1999 she was appointed associate professor of piano at the Oberlin Conservatory of Music. Cheng has been a jury member at numerous piano competitions, including the Montreal International Piano Competition, the Esther Honens International Piano Competition, the New Orleans International Piano Competition, the Oberlin International Piano Competition, and the Pacific Piano Competition. On the occasion of winning first prize at the Montreal International Music Competition in 1988, Cheng's performances of André Prévost's Variations et thème and Brahms' Concerto No. 1 with the Montreal Symphony Orchestra and Franz-Paul Decker were recorded on cassette (RCI 654). Cheng received enthusiastic reviews for her debut recording of two Mozart concerti with Mario Bernardi and the CBC Vancouver Orchestra in 1991 (CBC Records). Other significant recordings have included Clara Schumann's Concerto in A Minor with JoAnn Falletta and the Women's Philharmonic (Koch International); Chopin's Preludes Op 28 and Polonaises (Universal Music Canada); selected works of Clara and Robert Schumann (CBC Records); and four Spanish concerti with Hans Graf and the Calgary Philharmonic (CBC Records). In 2002, with Bernardi, trumpeter Jens Lindemann, and the CBC Radio Orchestra, Cheng recorded Shostakovich's Piano Concerto No. 1 and No. 2 for the film The Overcoat (Morris Panych, director). After winning the International Stepping Stones of the Canadian Music Competitions (1978) and the MSO Concours (1979), Cheng was awarded first prize in the William Kapell International Piano Competition (1984), the Bach Tercentenary Festival Scholarship Competition (1985), the Mae M. Whitaker International Competition (1987), and the CBC National Competition for Young Performers (1987). In 1986 Cheng was the gold medal winner of the Arthur Rubinstein International Piano Masters Competition, and in 1988 she received a career development grant from the Canada Council. 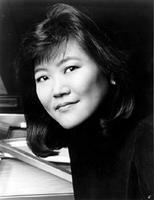 Cheng became the first Canadian to win first prize at the Montreal International Music Competition (1988), where she also captured the prize for best performance of the Canadian test piece. In 1991 she received the Medal of Excellence at the Mozarteum in Salzburg for her interpretations of Mozart, and won first prize in the Palm Beach Invitational International Competition. Cheng has also participated in the University of Maryland International Piano Competition, the American Music Scholarship Association International Piano Competition, and the Chinook Piano Competition. She has been presented with the Sir James Lougheed Award of Distinction from the Alberta government (1984-5) and the John H. Edwards Fellowship from Indiana University (1984-5).